A long-running struggle between the big music labels and AllofMP3 has finally ended in the defeat of the Russian-based MP3 download service. But all hope is not yet lost for users looking for a new and yet oddly familiar place to shop for music online. 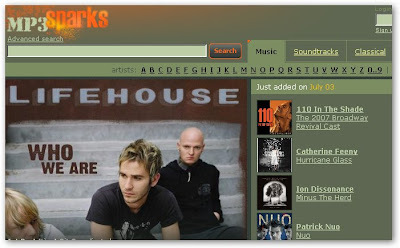 MediaServices, the company behind AllofMP3, has simply transitioned to MP3Sparks, which is almost an exact clone of the now-defunct site. You can still download some complete albums for about $2 a pop, same as before. While MP3Sparks claims to be acting within the legal bounds of Russian law and pays royalties, those looking for a more stable music source should check out our guide to free, legal music services.